It has been ashamedly easy to forget how good Bruno Fornaroli was in his first two seasons in the A-League. Arriving from Uruguay with a not-so-prolific reputation, he quickly turned into one of the A-League’s deadliest strikers. With 29 goals in 25 games, he won the Golden Boot in his debut year, then followed it up with 17 goals in 2016-17. Fornaroli has many cutting edge qualities. He is mobile and strong, able to hold the ball off defenders and turn quickly with his back to goal to create shooting opportunities. He is also clever at running in behind defences, as well as creating effective counter-attacks by linking up quickly with teammates on the break. He’s also simply a very good finisher, particularly inside the penalty box. In his first two seasons, he was spoilt by the attacking talent supporting him. Harry Novillo, another import, was a devastatingly quick and powerful wide forward, while Aaron Mooy was blossoming into a star playmaker. To fit all three attackers into the same side, then-coach John van ‘t Schip switched to a 3-5-2 system, allowing Fornaroli and Novillo to play together high up the pitch and constantly cause opposition teams problems. Their rapid counter-attacks – often ending with Novillo cutting inside to finish from the left, or Fornaroli poaching inside the penalty box – were highly effective. 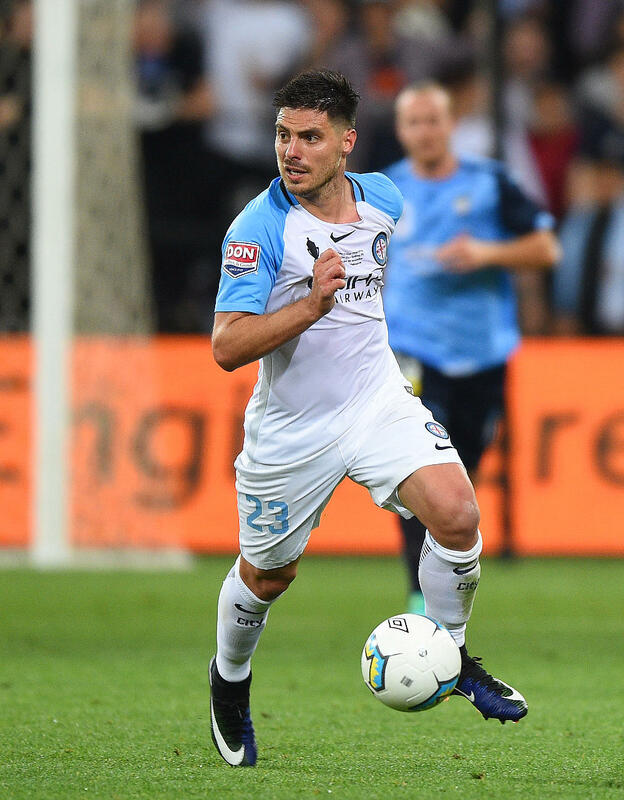 A broken ankle scuppered Fornaroli’s 2017-18 season, with new coach Warren Joyce only able to select the striker in Round 20. Fornaroli still managed a respectable goal tally, finishing with ten in five matches. This season, though, three matches into the A-League season and Fornaroli is yet to score. He, of course, scored that late winner in the FFA Cup, and it is still early in the season, but watching him play has been frustrating – he’s rarely been in positions where he can be most effective, nor really showing signs of being the all-round goal threat he is at his best. The same can be said for Melbourne City as a whole. The derby win in the opening round was a superb way to start the season, but it increasingly feels like an outlier. 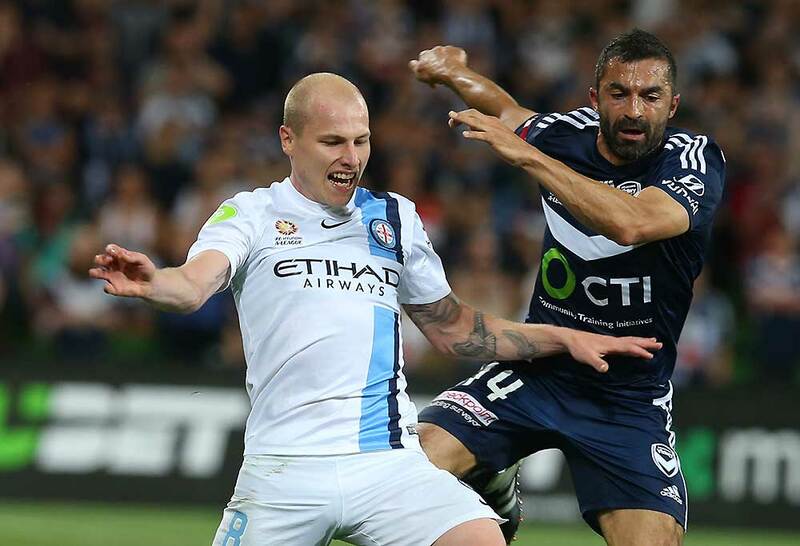 The 3-0 defeat to Sydney FC was sobering, and not just in the scoreline: City barely managed a goal threat against a team playing their third match in seven days. Fornaroli, in particular, was isolated. City’s strategy in attack, to be blunt, was limited. In a 4-2-3-1 shape, the back four passed the ball horizontally across the pitch, struggling to play killer passes into the midfield or front four. The two central midfielders, Kearyn Baccus and Luke Brattan, stayed in flat positions behind Sydney FC’s front two, not able to connect the side as they attempted to build up. Only rarely did Brattan or Baccus move to get free, but their rotations were often simplistic, either dropping very deep in between the centre-backs, or rotating wide into the full-back position. Sydney’s block was not affected by these movements, and space did not open up for City to play through. This meant the majority of the team’s build-up was in a slow U-shape – circulating around the outside of the defensive block, and few penetrating passes centrally. On the odd occasion, one of the centre-backs would play a hopeful long pass towards Fornaroli. For all his strength, he was rarely going to win an aerial battle against Alex Wilkinson and Jop van der Linden. That, sadly, was the extent to which Fornaroli was really involved. City struggled to create genuine goalscoring opportunities, especially as Sydney balanced excellently when in attack to prevent counter-attacks. The wider issue, really, is that it is difficult to see how things will improve for Fornaroli. He was so effective in those first two seasons primarily because there was so much pace and mobility surrounding him, as well as the creative forward passing of Mooy. Now, City’s front third players are Dario Vidosic, Florin Berenguer and Anthony Caceres – good support, but not the type of quick and dynamic attackers to help create space for Fornaroli. The central midfielders, meanwhile, just have to make sure they protect the defence. There is no onus on them to create chances for the strikers, especially not when Joyce opts for a centre-back like Osama Malik or Michael Jakobsen in midfield, as he did last season. The closest player to a genuine goal threat, aside from Fornaroli, is Riley McGree, summed up by his superb intervention off the bench in the Melbourne Derby. Whether McGree can provide that energy and spark over a whole season, though, is questionable. City will inevitably grind out results. Joyce has them well-organised without the ball, and the side will always be a threat on the break and from set pieces. For those yearning for the glorious, creative play that made Fornaroli a star though, the wait may be a little longer.